Woodside Alumni may request a replacement Diploma for colleges, universities, or other programs that require such documentation. Processing and mailing fees may be paid using a credit card (Visa or MasterCard) or PayPal. As directed by U.S. practice, the Diploma Request must be submitted by the former student, and not by parents/guardians or other representatives. We mail Diplomas via USPS First Class. USPS Priority, Express, or International Express mailing options are offered at-cost. 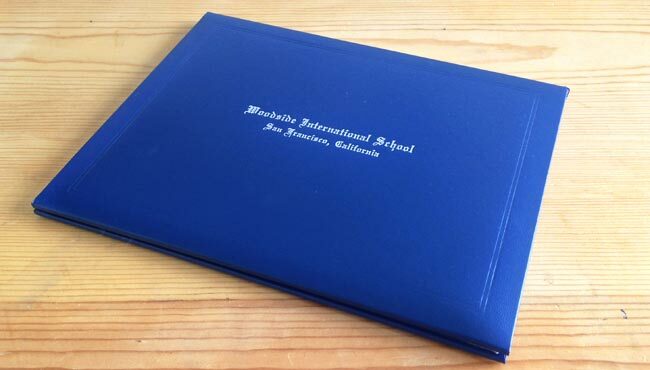 You may also collect your Diploma at the school, if you prefer.